The Workers Party of Ireland sends warm comradely greetings to the Communist Party of Turkey on the occasion of its Conference on the 15th-16th September 2018 in Izmir under the theme “To the Workers” and sends its congratulations and best wishes to the TKP, the oldest party in Turkey, on the occasion of its 98th anniversary. The Communist Party of Turkey is a symbol of hope for the Turkish working class, a party that approaches the issues confronting contemporary Turkey from the perspective of the working people. 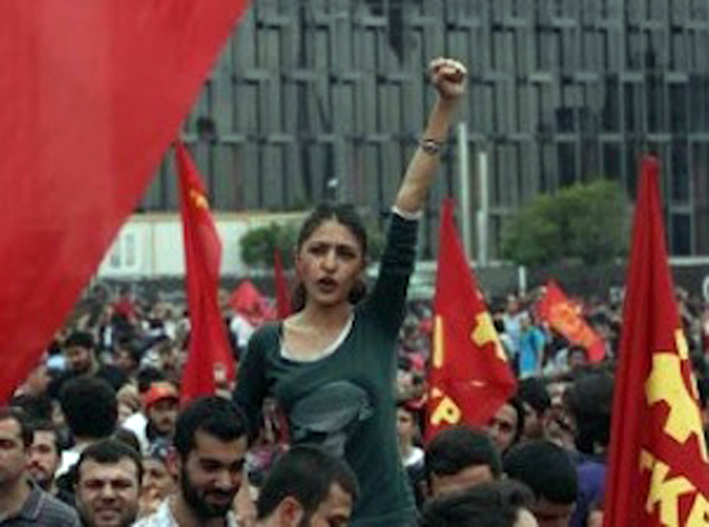 The TKP, proceeding under the slogan “this social order must change” recognises that the struggle against the US imperialism cannot be separated from struggle against the current social order. In addition to the struggle to defend and advance the achievements of the working class and the poor and the resistance against the assaults of capital against labour the TKP confronts the growth of Islamic fundamentalism, obscurantism and reaction and the increasing oppressive influence of religion in the areas of education, culture and law. As the TKP has repeatedly pointed out the struggle against imperialism, reactionary forces, authoritarianism, tyranny and fascism and the struggle against exploitation, inequalities and for social injustice cannot be separated from one another and must be viewed from the class perspective. The Workers Party of Ireland declares its solidarity with the Communist Party of Turkey which represents the interests of the working class and defends workers’ and people’s rights and salutes the militants and supporters of the TKP which unambiguously promotes the socialist alternative. We are confident that the outcome of the Conference will strengthen and consolidate the TKP through its organisational measures and advance the struggle to increase the influence of the working class and orient it to the goal of socialism. 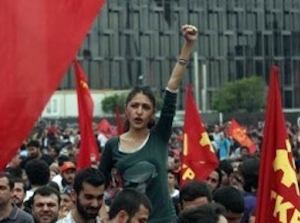 The Communist Party of Turkey, through its struggles and mass political work, has demonstrated its commitment to the interests of Turkish workers, to the struggle for equality, to providing a clear class based alternative to the failed capitalist system, to ending the power of the Turkish bourgeoisie, to the struggle for workers’-people’s power, for the overthrow of capitalism and the construction of the new socialist-communist society where workers will have fulfilled their historic mission.